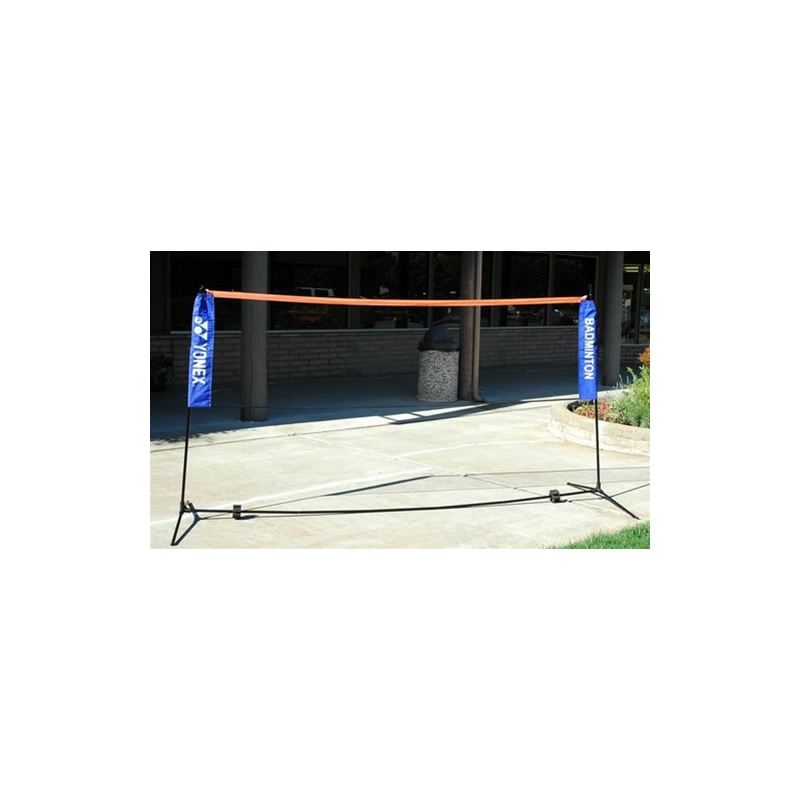 This product is similar to the Wilson Portable Net. 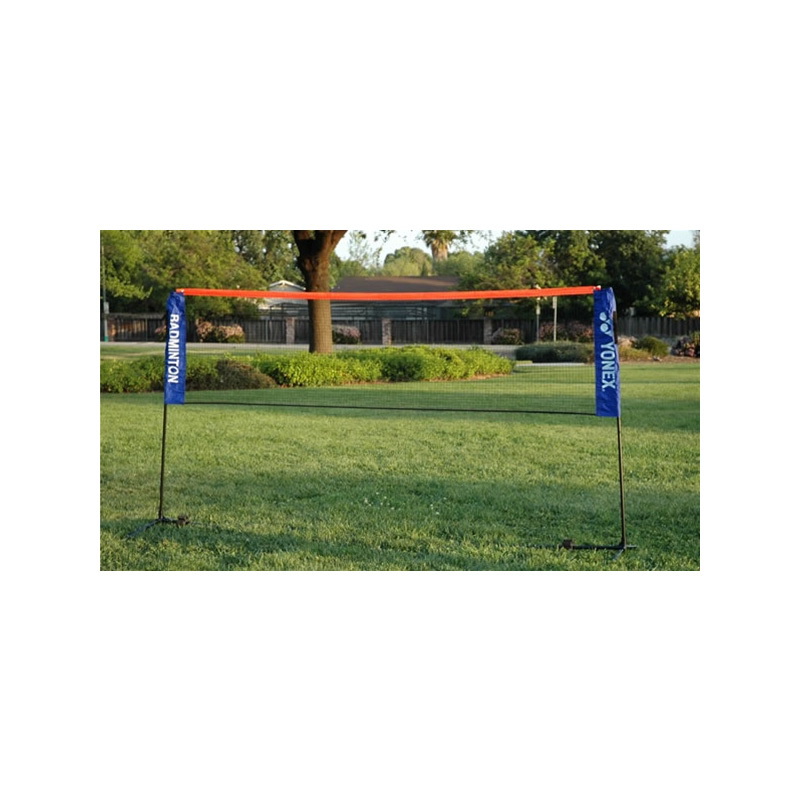 A lightweight portable net that can be set on any flat ground (grass, concrete, gymnasium, etc.). The net set is 10 feet wide which is half the size of regular badminton court. Very easy to assemble and dis-assemble. It took us less than 3 minutes to install the set. Lightweight, pretty sturdy, and very-very convenient. The package comes with the poles, net, and carry-on bag to store the poles and the net. If you are looking to have fun and don't care that the width of the net set is not regulation size, then this set is for you. 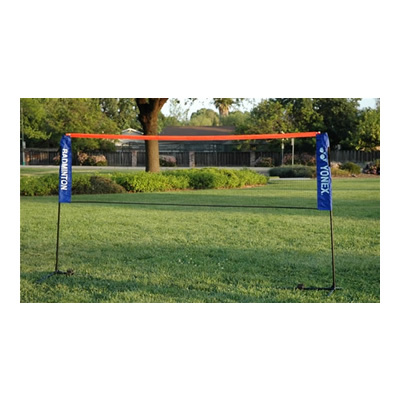 Excellent for those curious outdoor badminton players who wants to play anytime and anywhere, even in your own backyard. The net was really easy to set up and the package arrived very quickly. Extremely satisfied with both the product and the customer service! Thank you. This kit is very easy to put up and easy to come down. Come with bag to help me bring to park or friend's house. Our friends' kids and our kids have a blast during Thanksgiving holiday with this thing. We played it on grass and concrete and it was stable. If you are looking for a game for kids to play and have them exercise and yet give them the fun they want, this is the right stuff. It is so FUN that they love playing it while sweating their body out. This set is just incredible. Compare to those set from Target, this set is heaven sent. Very very simple to set up and fast. I mean, really fast. It took me about 10 minutes to setup the first time. After a while, I can set it up in less than 5 minutes. Taking it down is less than 3 minutes. (We have a competition between my kids and I to see who was the fastest... me.. 2:37 seconds). Other.. it works on concrete too and NOT just grass. I can play badminton anywhere with this set.... except the river (maybe I can if I tie the pole to the boulder on the bottom of the river). This product is great and convenient. It is true, it does not take long to setup. :D It works just fine, on my grass, concrete floors, and the gym. You should buy this product!